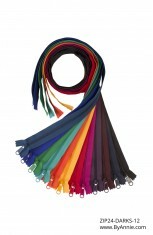 Most of Annie's purse, tote, and laptop carrier patterns call for zippers ranging from 5" to 24" in length. 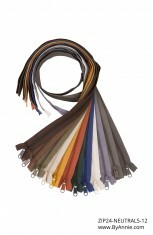 For easier inventory control, we have chosen to stock a few basic sizes ranging from 24" to 4 yards. 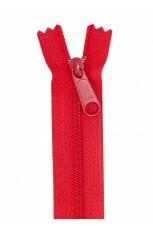 It is actually easier to use zippers longer than needed as you can avoid the stops at each end. 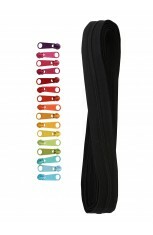 All of Annie's patterns include complete instructions for installing zippers quickly and easily. 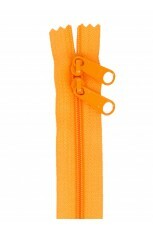 We promise that these are the easiest zippers you will ever put into a project! 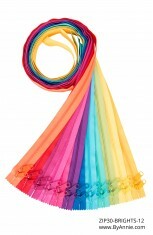 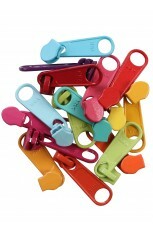 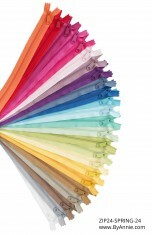 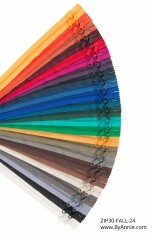 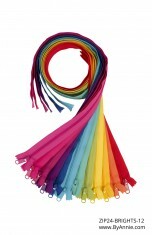 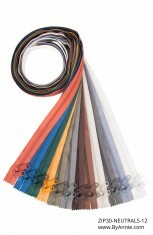 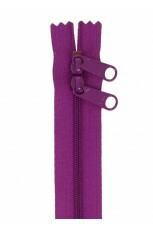 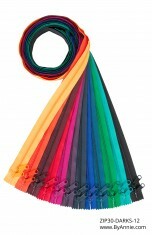 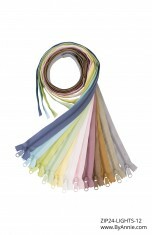 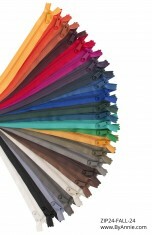 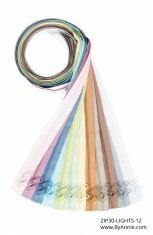 Click here for a PDF Color Card showing all 48 colors of zippers currently available.